The Fall Small Groups Semester at Graystone Church kicks off this week. If you haven’t joined a group, it’s not too late. You can sign up online here. Gathering for worship on Sundays is great, but small groups is where we get to know each other, care for one another, and grow deeper and stronger spiritually. 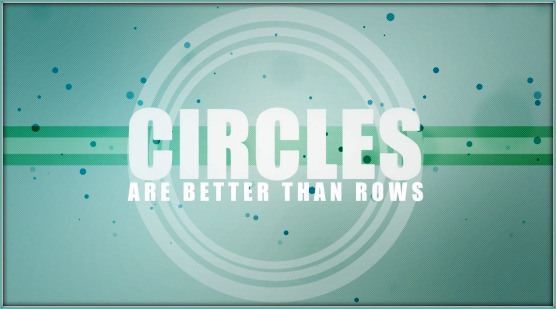 Circles really are better than rows. If you need help finding a small group, please let me know. I would be happy to help you find a group “perfect” for you.